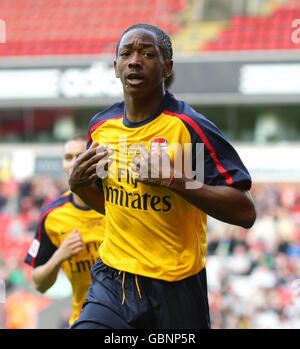 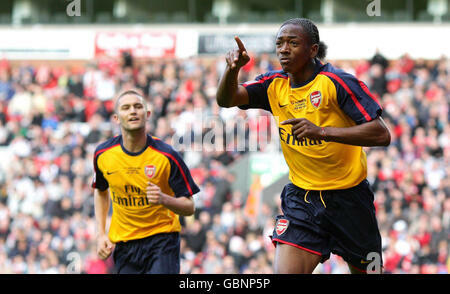 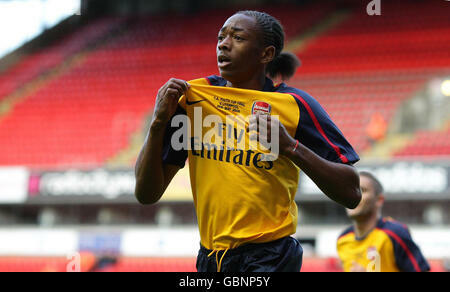 Arsenal's Sanchez Watt scores the 3rd goal beating Liverpool keeper Dean Bouzanis during the FA Youth Cup Final First Leg at the Emirates Stadium, London. 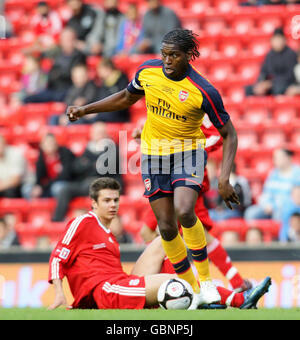 Watching, Dreaming, waiting and wondering when its going to be his turn to play. 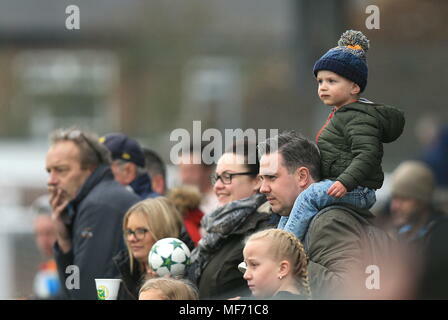 A child sits on his fathers shoulders during a county cup final. 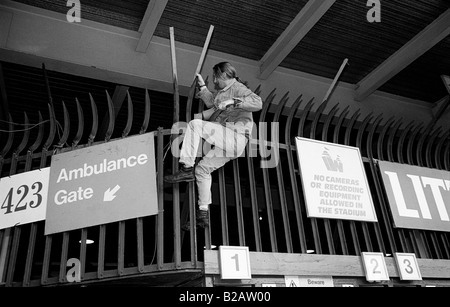 Football supporter climbing over a fence at Wembley Stadium to watch the 1996 FA Cup Final between Liverpool and Manchester Utd. 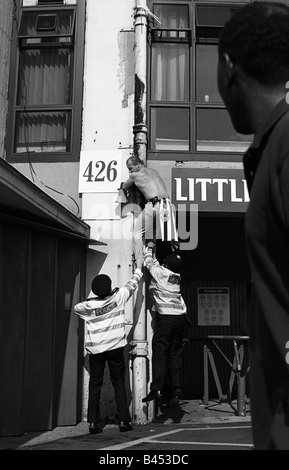 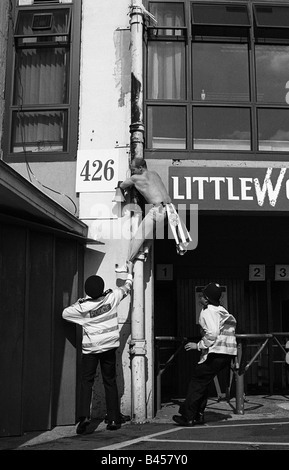 Newcastle fan attempting to get into Wembley Stadium without a ticket for the 1998 Arsenal v Newcastle FA Cup Final.